Holiday Fun Favors...for a Merry Christmas! Perfect for parties, stocking stuffers and when you need a little gift! 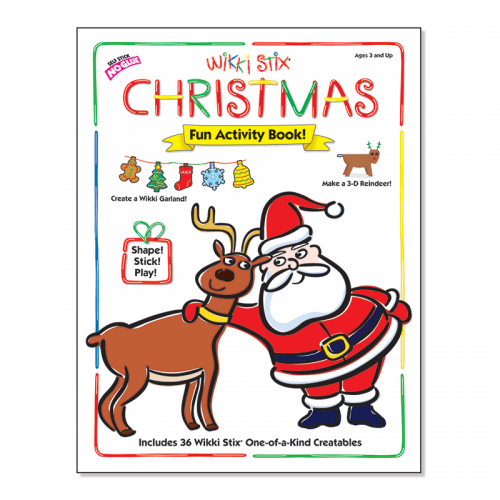 Each unit contains 8 Wikki Stix in assorted holiday colors, plus playsheet with Christmas theme. Pack of 50 Christmas Fun Favors. Perfect for a Party or Basket! A FUN non-candy addition for all Easter Baskets! Includes 50 Individual Units with an Easter theme! 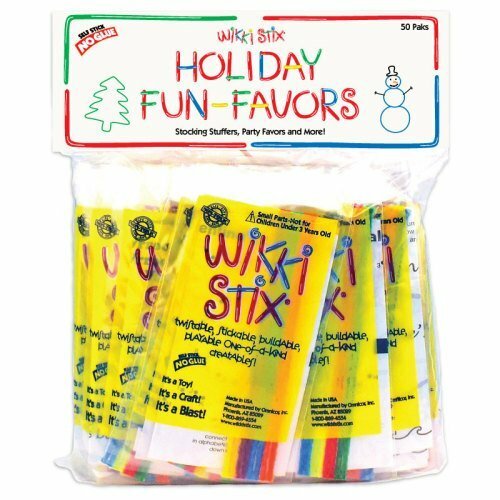 Each unit contains: 8 assorted-color Wikki Stix, plus black and white playsheet with ideas and illustrations on one side, and a fun connect-the-dot design on the other, all packaged in a 3" x 7" poly bag. Treat them to Wikki Stix this Halloween... the non-candy Trick or Treat handout! 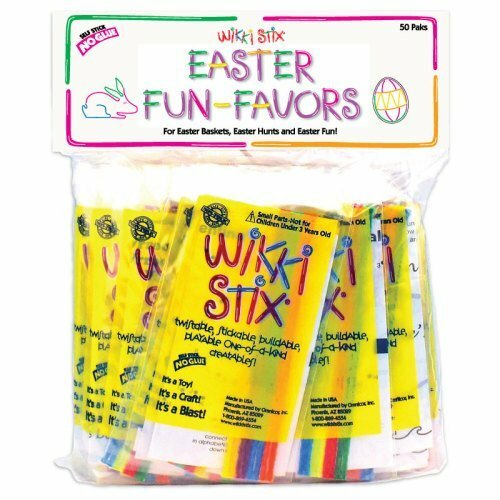 Award-winning Wikki Stix provide loads of hands-on fun... with no sugar overload. No need to worry about gluten, latex, or nut byproducts either. 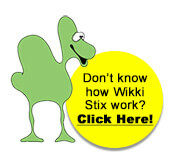 More fun than a toy, more creative than a craft... Wikki Stix will entertain kids for hours! Pak includes 50 fun favors in Halloween themed designs! 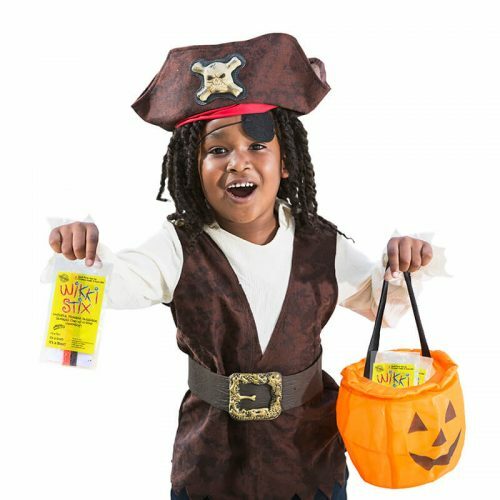 Each fun favor offers 8 Wikki Stix and Halloween-themed playsheet! Perfect, too, for parties, home room activities, church events and more! Self-contained and easy to hand out! Recommended by ten out of ten dentists! Valentine Fun Favors...instead of cards! Fun to give, fun to get, fun to make! 50 individual fun favors, enough for the whole class (or party). 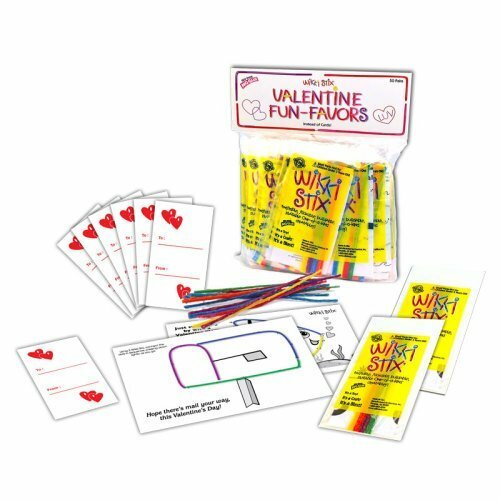 Each pak has 8 Wikki Stix and a fun Valentine activity sheet. PLUS 50 To/From Cards! 24 designs in all. Valentine Party Fun! Fun to give, fun to get, fun to make! Fifty fun favors, enough for the whole class for educational fun! Each has 8 Wikki Stix and a fun Valentine activity sheet. 24 designs in all. Includes a white Valentines Box to decorate with Wikki Stix. Hinged lid for easy opening. Fifty Fun Favors plus Valentine Box, 24 additional Wikki Stix, and 50 To/From Cards!